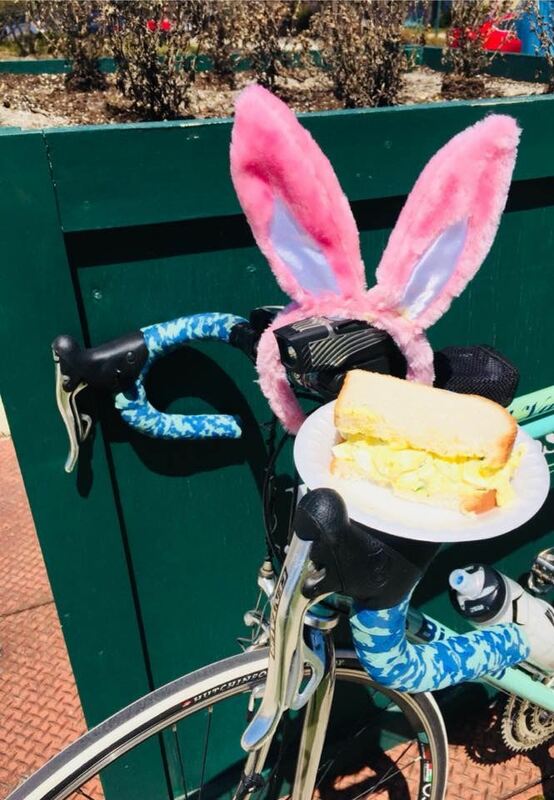 Known for the first invitational ride of the biking season, The Easter Ride, Folks on Spokes offers much more to its members and the Chicago/Northwest Indiana biking community. Folks on Spokes (FOS) is one of Chicagolands premier biking clubs, with year round activities and is consistent in making an impact on the state of cycling in the Chicago south suburban area. FOS provides members with opportunities to ride with cyclists of similar riding abilities on a variety of weekly routes from 15 to 100 miles in length. Rides are scheduled on weekdays as well as every weekend during the cycling season. Membership rides at all speeds from 9-12mph to 16+mph. Most rides involve a rest-stop where we can grab a bite to eat. Offseason finds Folks on Spokes members gathering for hikes and cross-country skiing. Hikes are held every-other week, and skiing depends on snow conditions. Q: What do you get if you cross a bike and a flower? Bartender: Your glass is empty. Want another one? Customer: Why would I want two empty glasses? Q: How do I get to the hospital from here? A: Just close your eyes and walk into the street. They'll come and get you. Rolf Dietrich, inventor of Rolf Wheels, demonstrates perfectly true wheel. For many Southland bicycling enthusiasts riding is more than just a fun way to exercise or save money on gasoline. It’s a unique way to experience the world. “You can see so much more on a bike that you can see in a car,” said Dan Rumishek, president of Folks on Spokes, a bicycling group based in the south suburbs. For example, he made some odd little discoveries while riding through Iroquois County, which is just south of Kankakee County. Each little town, such as Beaverville, Rumishek said, displays a replica of the Statue of Liberty. “If you’re in a car you wouldn’t notice that,” he said. And for Bill Lang, director of rides for the group, bicycling was once a way for him to find peace with his wartime past. A Vietnam War veteran, he took to two wheels upon his return home to rediscover the country while riding his bicycle. “In every ride I find something unusual, in the people I meet, places I go,” Lang said. Rumishek and Lang now are such avid riders they say they fall into the estimated 4 percent of bicyclists who are able to ride on any surface and in any weather condition. Lang said he’s even rode on frozen rivers. But one doesn’t have to be an expert to join Folks on Spokes, where expert and novice riders alike all learn from each other. Lang said he learned from a member how to prevent “saddle sores.” He just had to buy specially padded shorts. And he said they’ve learned the best ways to fix a flat from each other. Founded in 1972, and now consisting of 140 members, the group organizes rides throughout the south suburbs as well as social events for members. 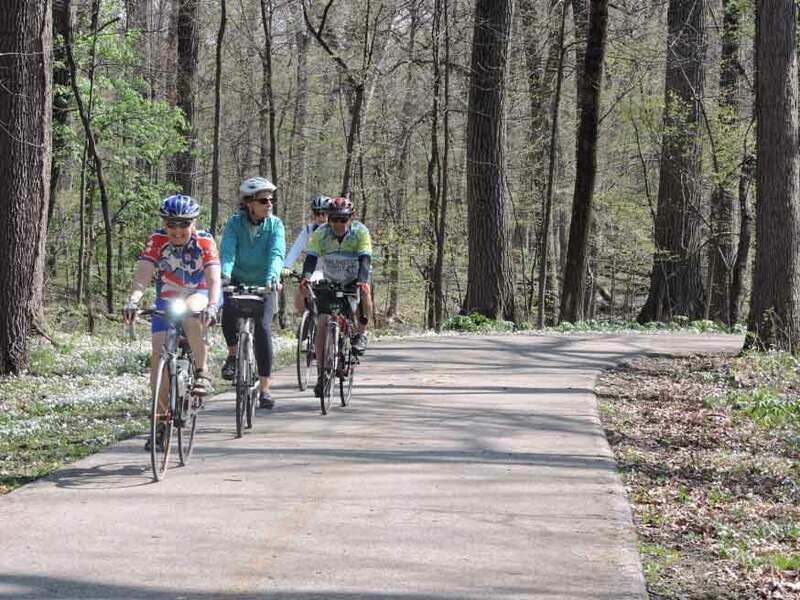 The biggest ride is the group’s Easter Ride, which is held at the end of April when weather might be a little more favorable for most bicyclists. This year’s event drew 348 riders, Rumishek said. A ride in October features a Halloween theme and takes bicyclists up to 65 miles past several cemeteries. One of the group’s main emphases has always been about promoting bicycle safety. That usually refers to safety in sharing the road with motorists. But the type of complaints bicyclists in Chicago usually report about drivers there, such as with “dooming” — where a car door opens abruptly in the path of a bicyclist — aren’t that common in the south suburbs. “I find, in general, motorists are very patient with bicyclists,” Lang said. Rumishek said one website every bicyclist and motorist should visit to learn about bike safety is bikesafetyquiz.com. The landscape for riding in the south suburbs has drastically changed over the years and is still changing. Lang said the region can be divided into two main areas. Areas north of Interstate 80 have become much more developed, which brings much more traffic, while many areas south of I-80 are still mostly rural, which makes for easy country riding. Lang said four-lane roads in more developed areas are not recommended for bicycle use. 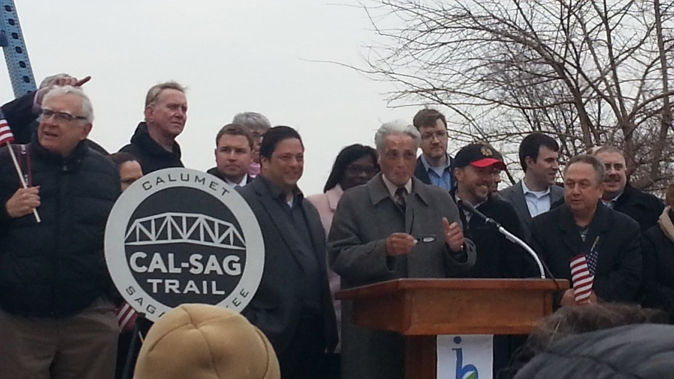 But thanks to the advocacy from members of Folks on Spokes and other enthusiasts there are more trails to ride if they’re heading north of I-80. And smaller roads north and south of the interstate are now more suitable for riding after being paved and marked. Folks on Spokes meets on the fourth Thursday of every month at Life Time Fitness in Orland Park. Annual membership rates are $15 for individuals and $25 for families. More information can be found at folksonspokes.com. FOS members often gather for more social events. Regular club monthly meetings feature discussions and a speaker presentation. Social meetings can involve any number of group activities. Recently we held a pancake breakfast, and a social hour at one of the areas nightspots. Social activities are an important component of Folks on Spokes. Most club members look forward to volunteering for the annual Easter ride, where we interact with riders for other areas as well as with fellow club members. We have several club special events. July has an Ice Cream Social; September we hold the Club Picnic with catered food; October's last Sunday we hold the End of Season Bike, Hike, and Pot Luck/chili cook off; and November brings the most popular club event: the free Pizza Party on the Thursday before Thanksgiving. Q: Do you know what is the hardest part of learning to ride a bike? Folks on Spokes continues to work with local government agencies to insure that the needs of cyclists are considered when road improvements, trail construction and laws regarding cyclists are reviewed. The club successfully influences area governmental bodies to remember cyclists. As a member, you have access to club ride information, forums, communications, and other helpful information to provide a better experience. Q: Why did the little boy take his bicycle to bed with him? A: Because he didn't want to walk in his sleep. Q: What does a cyclist ride in the winter? Q: When is a bicycle not a bicycle? A: When it turns into a driveway. Q: What is a ghost-proof bicycle? A: One with no spooks in it. Watch a sample of biking, hiking, and social activities from last year. Rub elbows with cyclists who bike thousands of miles a year, ride with cyclists of all levels and learn great tips to improve your skills and safe routes with little traffic. Rides of various distances and paces to accommodate different riding styles and abilities. Rides listed on the website calendar. Learn from experienced cyclists about the best equipment, clothing, etc. Learn about your heart, safe exercise, and proper nutrition and hydration. Support local and national bicycling organizations. Discover great local spots to cycle and restaurants along the routes. Stay fit year-round with winter hiking and cross-country skiing. Be a part of one of the most exciting club invitationals in the Midwest, the FOS Easter Ride! Attend the club's annual picnic, ice cream social, End-of-the Year Hike/Bike/Potluck and Pizza Party.